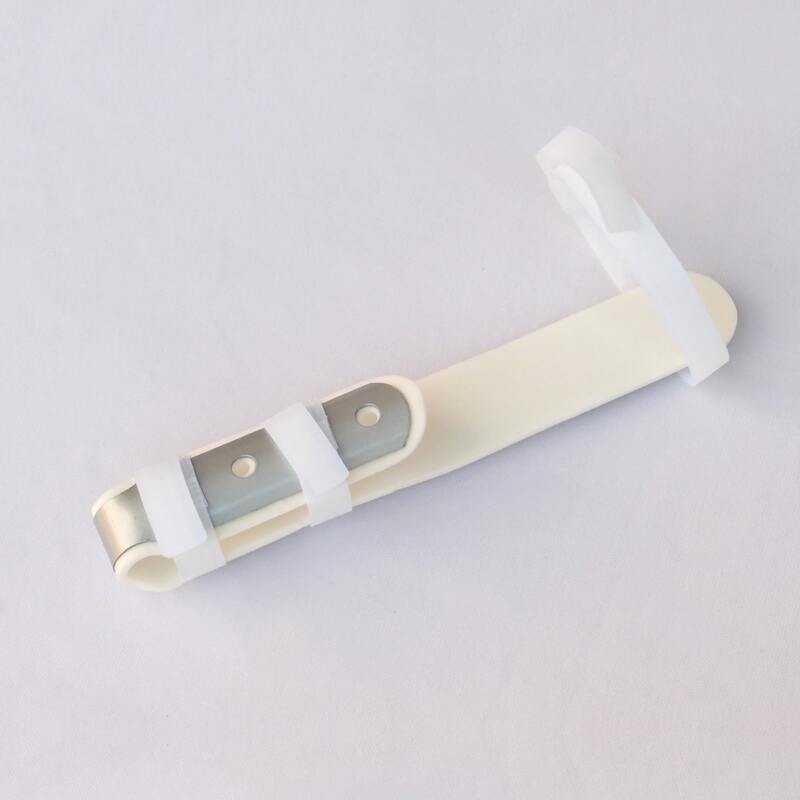 Buy Extended Protective Finger Splint @ 6.7$ as low as @ 2.28$ | Home Medical Supplies '); $(".urlwrite", table).html('' + customer.find("title").text() + ''); $(".reviewcount", table).html(customer.find("reviewcount").text()); $(".rating", table).html(' '); $(".userrating", table).html('UserRating'); $(".btnofprod", table).html('Go To Product'); $("#dvCustomers").append(table).append("
Outer material; high grade malleable aluminium to ensure immobilization of finger knuckles. 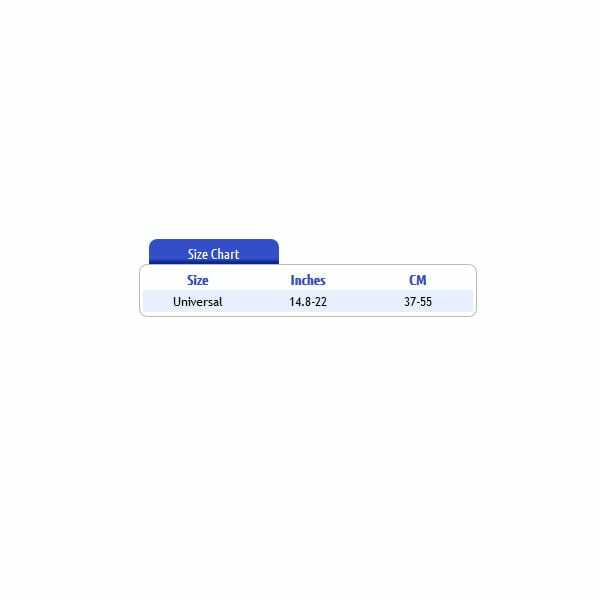 Lined and Padded with High quality soft Ethafoam; easy to clean and maintain. Ergonomic U design with air vents for complete ventilation; prevents sweating. 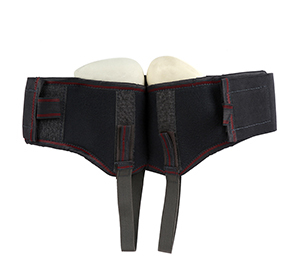 Superior quality Velcro fasteners to ensure firm grip and rigid immobilization. 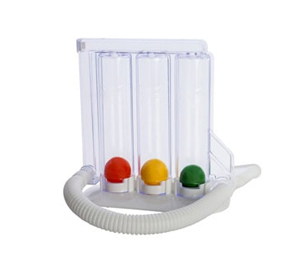 Handy, durable, light-weight and has universal Size (4-10 cm); fits any finger. 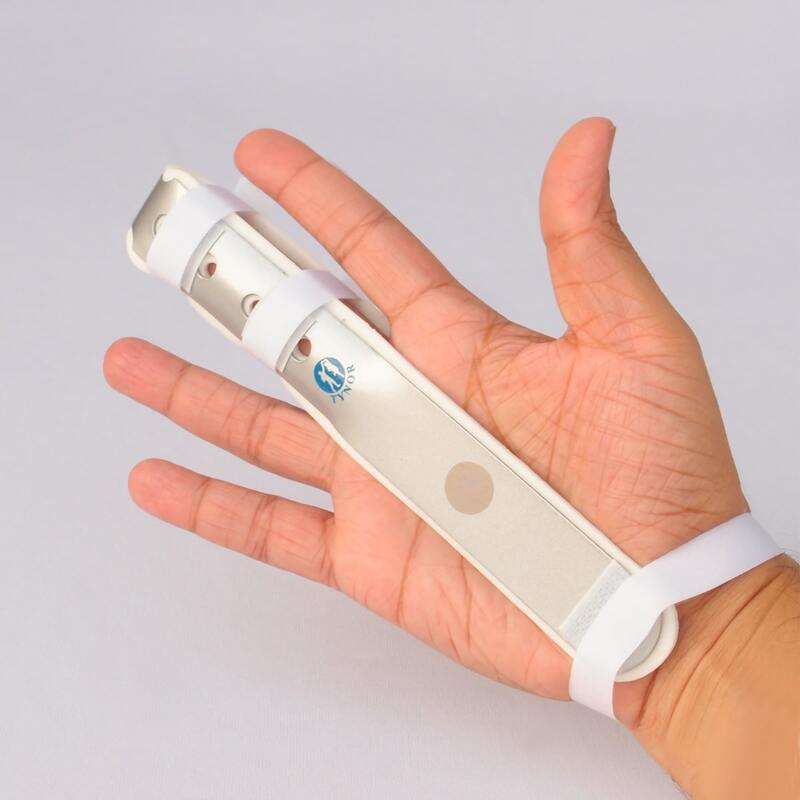 The finger extension is an innovative tool to provide support, protection and required immobilization to finger knuckles following an injury. 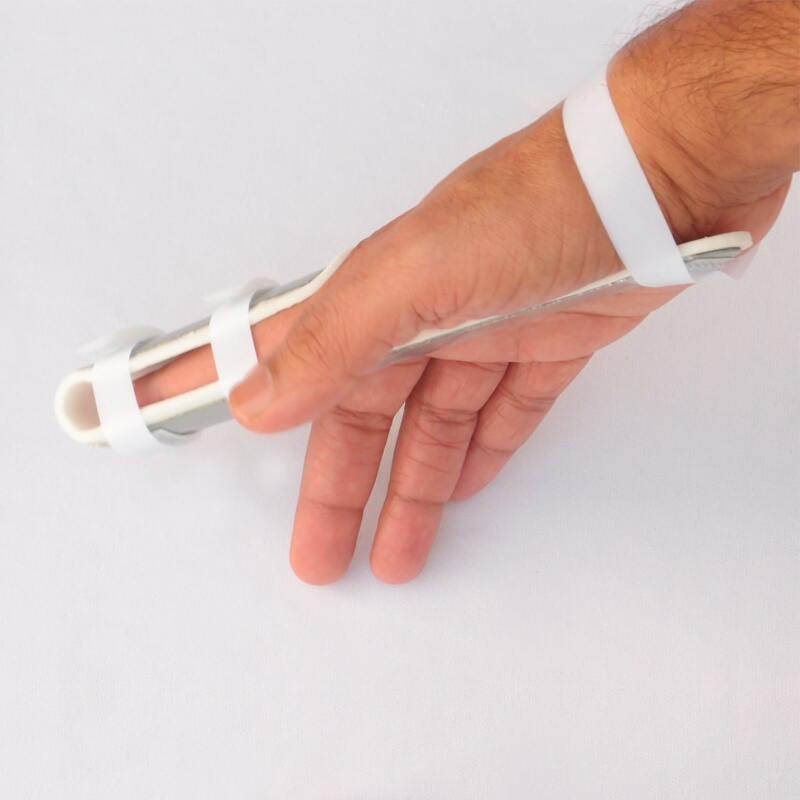 Outer body is made of malleable aluminium so it also can be bent to keep the inter-phalangeal joints in required flexion or extension for early recovery. 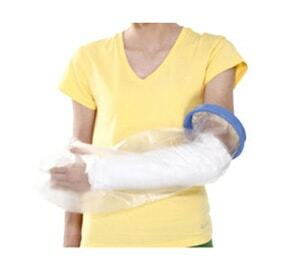 The extended protective arm further equally distributes the pressure over the hand and wrist region. Inner body is made of soft Ethafoam that gives the feel of a cushion and also reduces the impact of mild shocks. 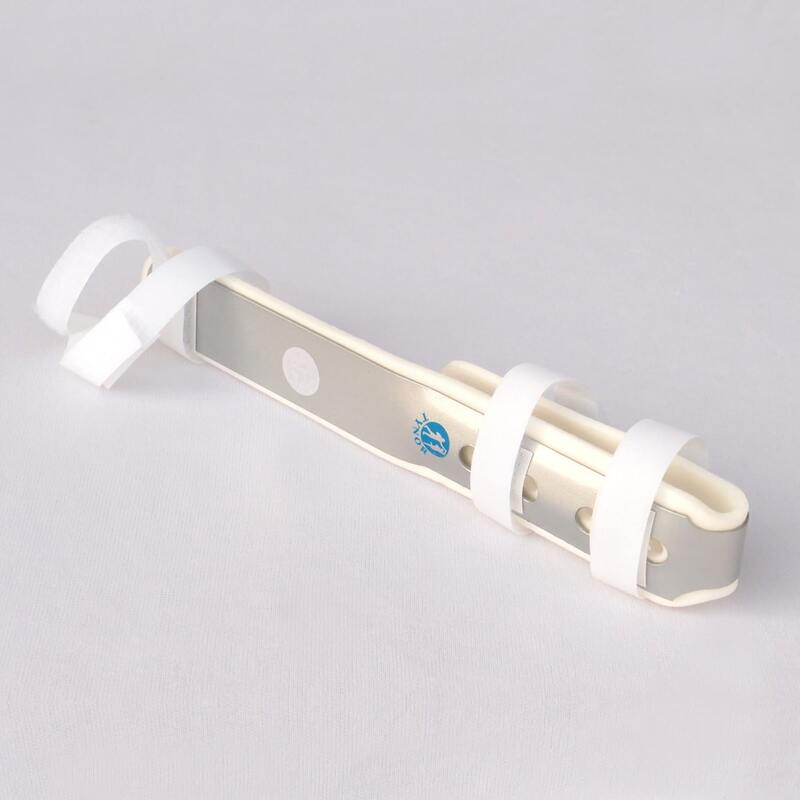 Both aluminium and Ethafoam are hypoallergenic and of superior quality that make the splint light-weight and highly durable. 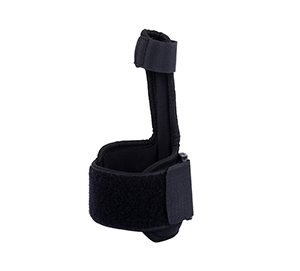 Hook and loop Velcro fastener are provided around the finger and wrist area for complete stabilization and firm grip. 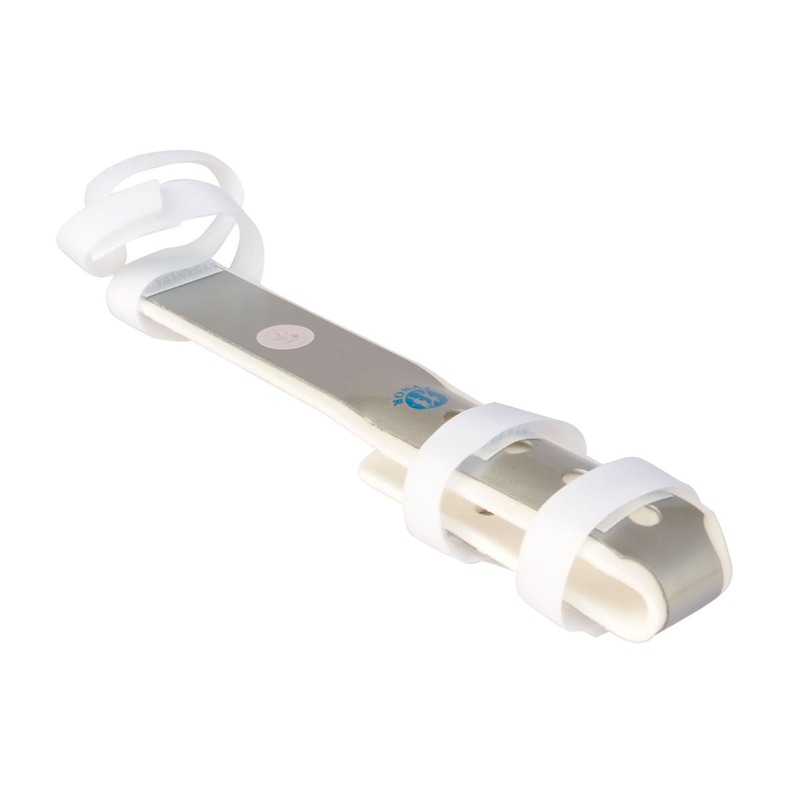 They also assist in easy application and removal of the splint. The anatomical U shape with air vents over the body surface provides required protection and ventilation to finger in case of injuries and burns. It is also recommended for the post operative immobilization of fingers. It comes in universal size (4-10 cm); fits any finger and is easy to clean and maintain.